This small coupe launched in 1955 is the first automobile to bear the name Alpine. its is the beginning of a successful story for the Marque from Dieppe in the North of France. Jean Rédélé is the son of a Renault dealer in Dieppe, who he will succeed becoming the youngest Renault dealer at the time. In 1950, Jean Rédélé started activities in automobile competition where he will collect results and class victories in such sport events like Monte Carlo rally, the Mille Miglia, the Tour de France or the challenging Liège Rome Liège race. These successes are gained at the wheel of a small Renault 4 CV sedan but Jean Rédélé wants to move further. He dreams of providing his country with a small sports car utilizing mass production mechanical elements. Jean Rédélé first prepared special Renault the body of which was designed by Michelotti and produced by Alemano in Italy. It is however with the support of the French coachbuilders Chappe brothers based at Saint-Maur that Jean Rédélé will prepare the Alpine A106. The Chappe brothers were indeed specialized in fiberglass composite production. 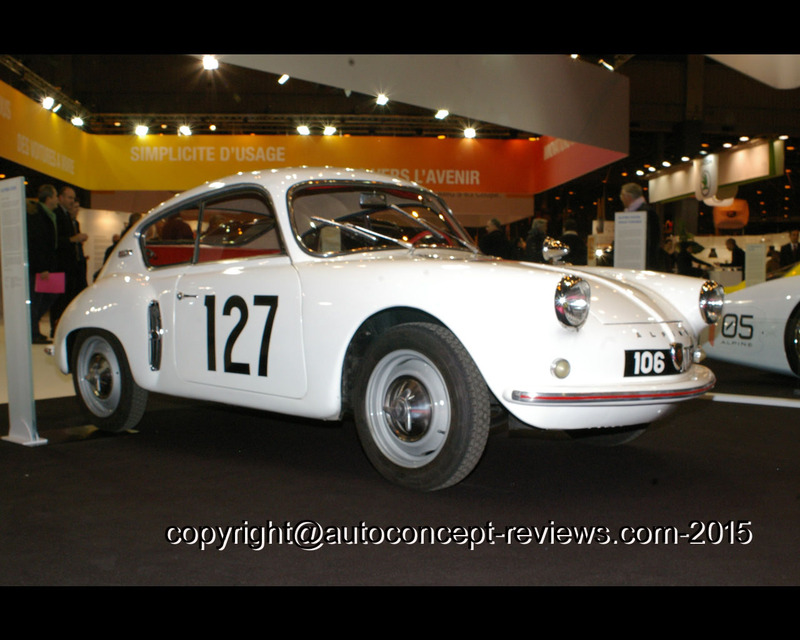 The Alpine A106 is based on a Renault 4 CV platform. 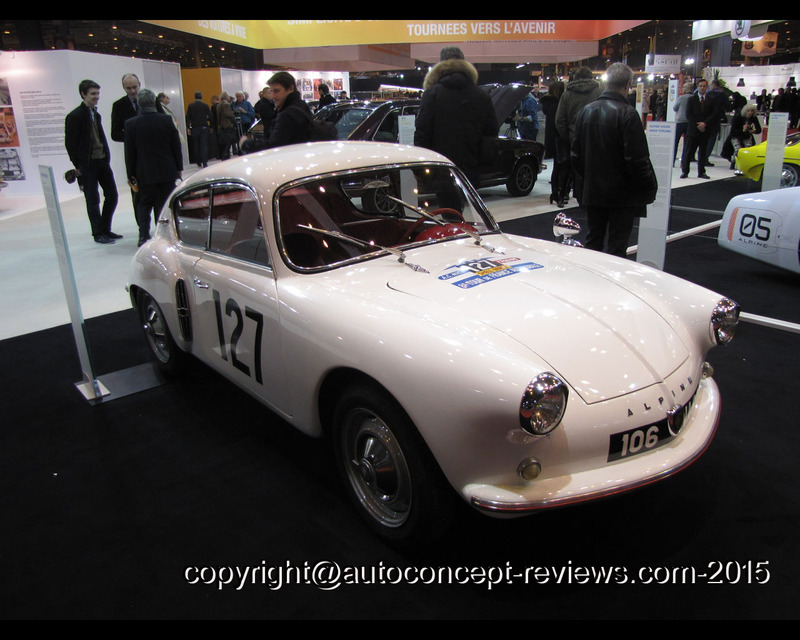 The designation of this new sports car makes reference on Jean Rédélé's success in the Alps criterium rally associated with the 106 production reference number of the Renault 4 CV. On June 25th 1955, the Société des Automobile Alpine (Automobile Alpine Company) is founded. The Alpine brand is officially launched on October 6th of the same year and the A106 is first exhibited at the Paris Motor Show. This is the first model of the Alpine saga and will be produced in 251 examples between 1955 and 1959. 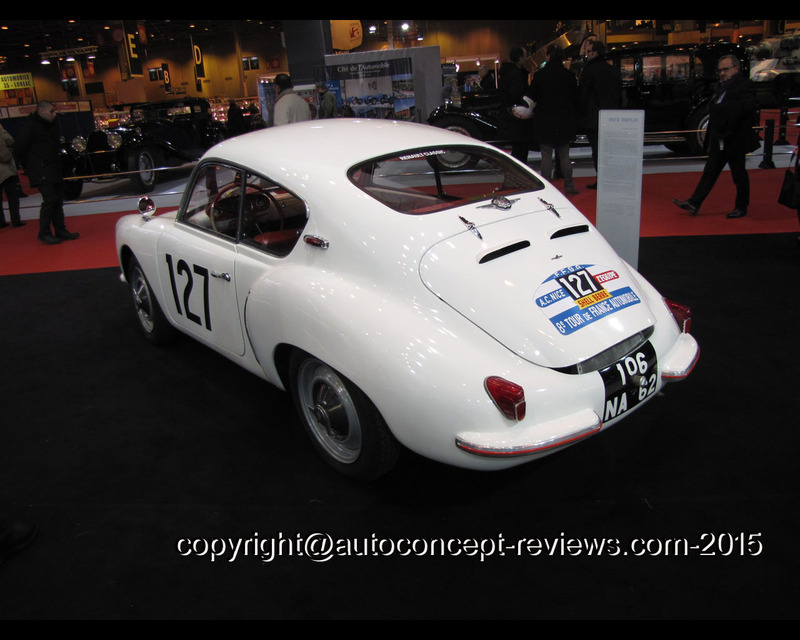 The model exhibited here at the 2015 Retromobile in Paris is the Alpine A106 entered at the 1959 Mille Miglia. The engine is a in line four cylinder with 747 cc capacity producing 38 hp (SAE). The engine is connected to the rear wheels through a five speed gearbox (Claude transmission). There are drum brakes at all wheels. The claimed top speed is near 150 kph (93 mph). The dimensions are 3700 mm (145,6 in.) in length, 1450 mm (57 in.) wide and the weight is announced for 550 kg (1213 lb. ).